Based in Brisbane and proudly servicing clients Australia wide, MACRACK is Australia’s leading pallet racking company, producing strong and durable pallet racking systems that last. Our success can be accredited to our quality Australian-manufactured product, which holds a confident lifetime guarantee on any product we manufacture for your business. 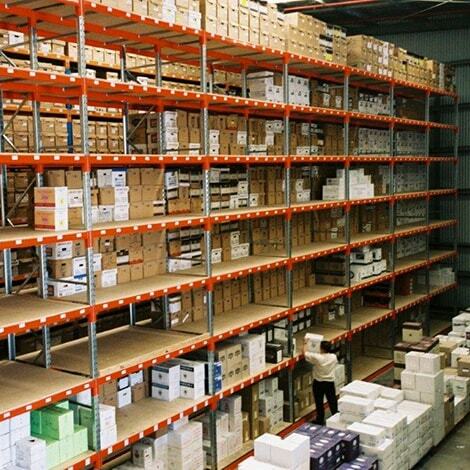 Pallet racking and warehouse storage are critical to your business success. Get racks you can count on from a manufacturer you can trust: let MACRACK handle all your warehouse storage and racking needs. We have been manufacturing pallet racking for 30 years, and we have total confidence in our warehouse racking systems. The MACRACK system is designed and engineered to last in the harsh warehouse environment. Call us today to take advantage of our free warehouse design service. The cheapest and most common form of storing pallets. Macrack offers a huge range of pallet racking options including heights, weights, widths, configurations. In stock and ready to go, if you need a lot or a little we can quickly supply you. Storing cables drums of all shapes and sizes. If you have electrical cable drums or any product that comes on a roll/spool, cable racking is perfect for you. Store your drums and at the same time be able to unwind them. All sizes and weights can be catered for. Like the name implies Carpet racks are perfect for storing Carpet and Vinyl. Much like a large pigeon hole rack, carpet racks allow you to store rolls of carpet on a shelf. These can be easily accessed at any point and allow for high density storage capacity. 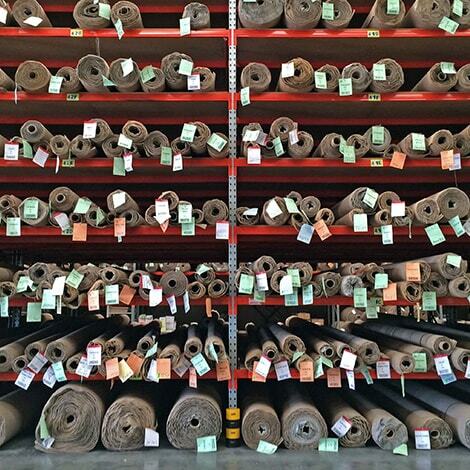 Store long packs of timber, extrusions and pipe. Cantilever racking system allows the storage of long items because the body is set behind the arms of the rack. It’s very flexible for storing odd shaped items and very particle, maximise your floor space with cantilever racking. Last in first out (LIFO) system of storing pallets using mechanical carts that push back. This storage system is perfect for storing multiple lines of pallets when that need to be readily accessible. Store 2-6 pallets deep, but always load and unload from the front of the rack, as each pallet pushes back and rolls forward when the front is taken out. The most space efficient way to store pallets. Drive in allows you to store pallets in 3 dimensions; sideways, up & down, back & forth. 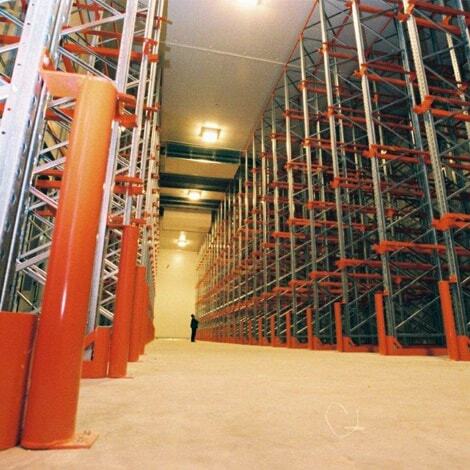 Actually driving into the racking system you can access a huge amount of pallet without the need for aisles. If you need extra shelving in your warehouse we have a huge variety to choose from. Cheap economical solution for some heavy duty shelving systems, choose sizes, heights, weight capacities and what type of shelving. Timber shelves, Mesh shelves, Steel Shelves great way to get some more storage. Store all your car, truck and bike tyres in an orderly and efficient way. Keep all your tyres neatly stacked away with a tyre rack. Have as many levels of tyres stored as you need, they sit firmly in the rack between two beams, which keeps them separated and efficiently stored. Cheaply and efficiently store small parts in what is described as a scaled down version of pallet racking. Standard shelving units that are about head height with 3-8 shelf levels per bay. Very cost effective way to increase hand picking storage. Simple to assemble yourself, and easily adjustable. Narrow Aisle or Furniture Racking is a system specifically for large cumbersome product. Essentially a large scale pigeon hole rack allows a stock picker to move through the aisles as well as up and down rack accessing each bay. Storing bulky items, but having minimal aisle space. If you have steel in a coil, you can increase your storage capacity with Coil Racks. Using the same design as pallet racking, Coil Racks are designed to take steel or aluminium coils. Any size, shape, or weight, its customised to suit your product. Allows you to store pallets 2 deep, accessing them with a pantographic forklift. 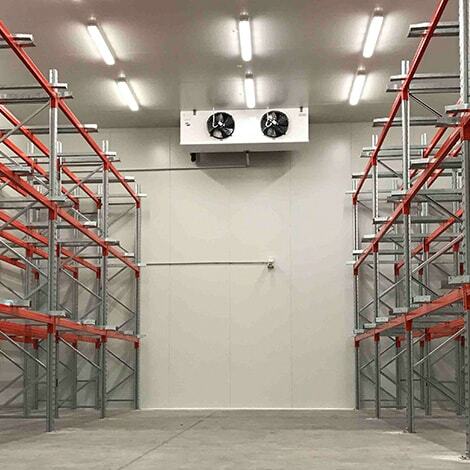 If you want to maximise your warehouse space, have a look into deep store, where you could double your warehouse capacity in the same size area by having a second set of racks directly behind the first. First in first out (FIFO) Pallet racking. Where the pallet are fed in from the back and roll to the front on industrial tracks. If you need to constantly turn over your product or need to increase your efficiency, Pallet flow might be the way to go. A true FIFO solution to pallet storage. Store up to 20 pallets deep and have them constantly turning over. We design and make custom stillage’s for industrial storage. If you need a stillage or industrial storage box we will be happy to work with you to design a custom solution. Stackable, various sizes, mesh walls, hinged panels, anything you need we can make. Store extrusions or lengths of material upright, leaning on an industrial A-Frame. 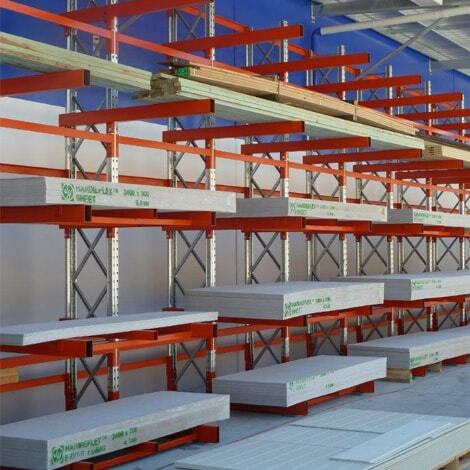 If you need to store lengths of mouldings, extrusions, pipe or timber, try A-frame racking. This system allows you to access each single extrusion independently, and keeps them neat and separated. Perfect for hand picking, manufacturing industries. Expand your floor space by putting in a warehouse mezzanine floor. Design and engineered to suit you and your storage needs, tailor make it to work with your operations. 1 level, 2 levels, 3 levels anything is possible. Comes with stairs, pallet gates, built in shelving and hand rails. Protect your racks from being damaged by forklifts and MHE. We have a huge range of protective items to prevent forklifts and other mechanical equipment damaging the racks. Dependant on what you need we will have a solution. We are proud to provide a 100% Australian-manufactured product and with our commitment to quality and engineering excellence, you will see the genuine Macrack difference. We’re so confident in the quality of our product that we offer a lifetime guarantee for any product we manufacture for your business. Servicing clients big and small. With a reputation as solid as our racking solutions its no wonder we’re trusted by Australian household brand names to supply them with their warehouse storage solutions. We manufacture everything here in Australia at our manufacturing plant. We have engineers, CAD designers, roll-form runners, fabricators and boiler makers, a whole team at your disposal. So instead of being forced into a storage solution that doesn’t suit you, we make a solution that is designed to perfectly suit you and your storage needs. We offer all the standard range of pallet racking and storage equipment, but we can also make a tailored solution to suit anything out of the ordinary without the extra costs. Does that sound like something you need? If so, we would be happy to help. 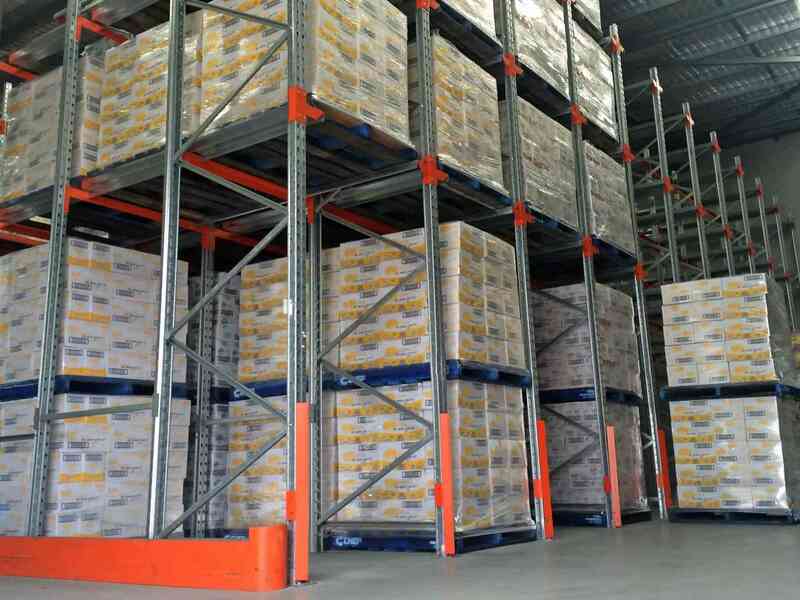 Do you need pallet racking fast? 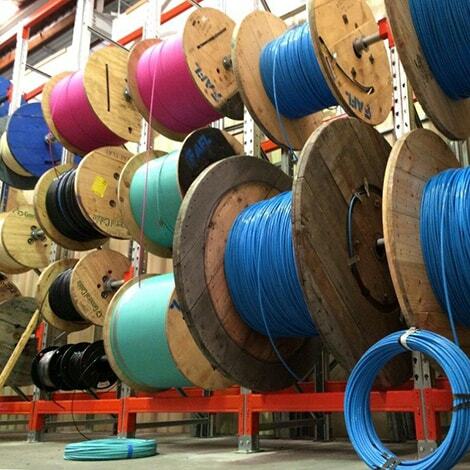 We manufacture our entire product range in Australia and therefore we don’t have international shipping lead times. You can place an order and get it in a matter of days! Can any other company offer that service? We don’t think so. If you need warehouse storage quick, call us now! We will help you get what you need fast! Do you want the best product on the market? If you do you want MACRACK. We only use a high grade MPA steel for all our racking systems, which gives much more performance and strength to our systems. Not only that, we use pre-galvanised frames, so rust is a thing of the past. Why buy imported racking that is not as strong and rusts! If you want quality, all you have to know is that we offer a Lifetime Guarantee, and have been offering that for 30 + years. As well as pallet racking, we also offer a wide range of other products for all your warehouse storage needs, we have 30 years of manufacturing experience and no challenge is too hard. Each system can be fully customised to suit your particular product, but they will always remain affordable. Check out our wide range to see what will suit your business and storage needs. 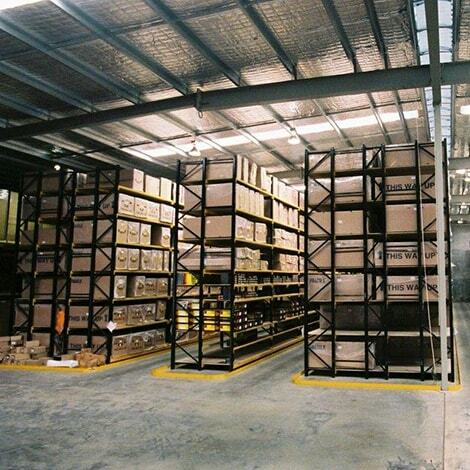 Warehouses racking should be audited every year according to the Australian Standards. MACRACK offer an auditing service where we come out and independently inspect your warehouse racking, high-lighting all damage and issues. Australian Standard ‘AS4084 : 2012 Steel Storage Racking’ is the design standard that MACRACK conforms to. All the pallet racking we produce is certified to this standard. If you need more info on the standards call and we will talk you through specifications. We offer a full installation service and also relocation service. 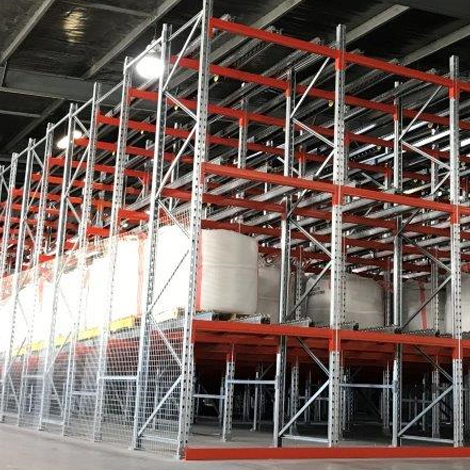 If you need your racking installed or are moving warehouse we can provide full costings to take down, relocation, install and re-certification. Our commitment to quality, safety and excellence has established us as one of the most trusted pallet racking manufacturers in Brisbane and right across Australia. We have a reputation as solid as our racking solutions, so you can rely on us to supply you with premium shelving and storage products. That’s not all – our warehouse racking systems are made from pre-galvanised steel, meaning they will never rust. This is why we can proudly and confidently offer a lifetime guarantee. At MACRACK, our greatest advantage is the ability to fabricate specific racks to suit the customer, with no need to wait for international shipping lead times. Whether you have odd-shaped goods to store or unique length/weight requirements, we can custom-design the ideal pallet shelving warehouse solution for your business. Contact us today about your needs and our friendly staff will work with you to create the perfect warehouse storage system. Because we manufacture our pallet racking in Queensland, we can offer great rates on warehouse solutions throughout Australia. 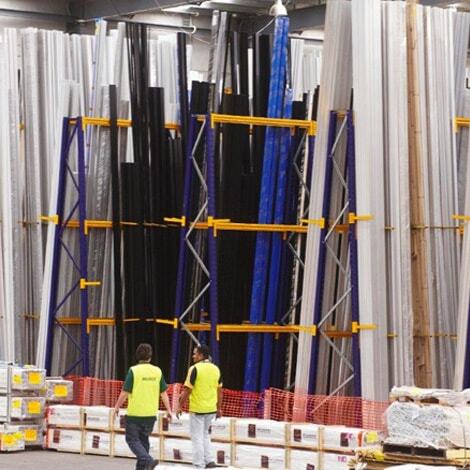 We have been producing our racking here for 30 years; our prices are – and always have been – very competitive. 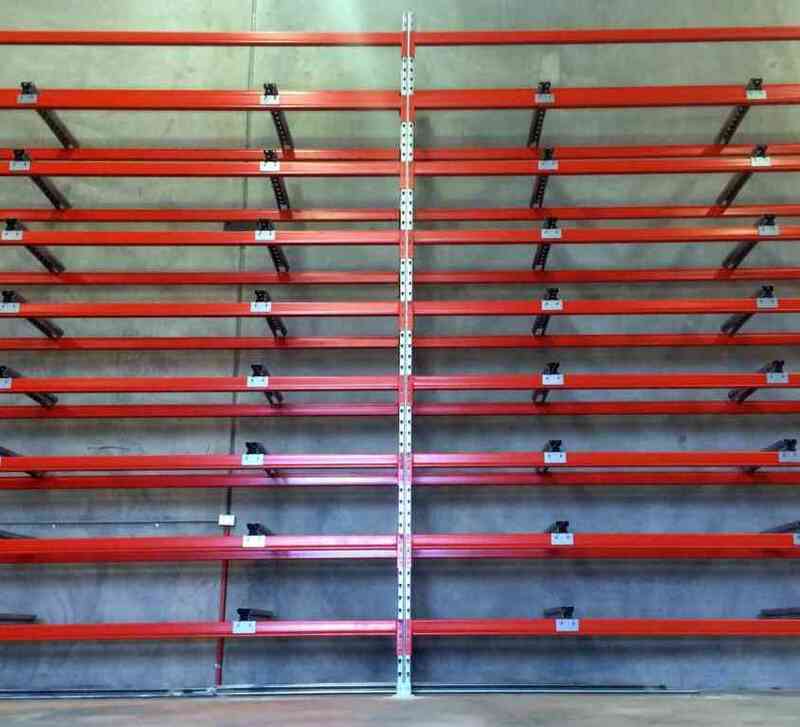 Our systems are all custom-quoted, so get on the phone today and we will give you a great price for some top-quality racking! 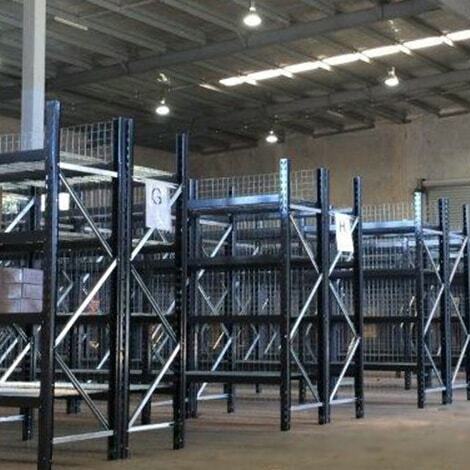 Pallet racking in Australia must conform to the latest standard (AS4084 : 2012, Steel Storage Racking). The MACRACK system passes (and often exceeds) the requirements with flying colours. Not only that, but our pallet racking and industrial shelving is independently certified and tested to ensure that only the highest-quality storage systems leave our manufacturing facility. 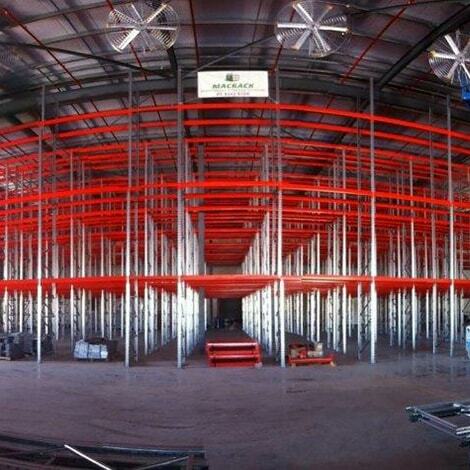 Does your current racking system meet Australian standards? Ask us for an audit or inspection today and our experts will see if your warehouse is up to scratch! 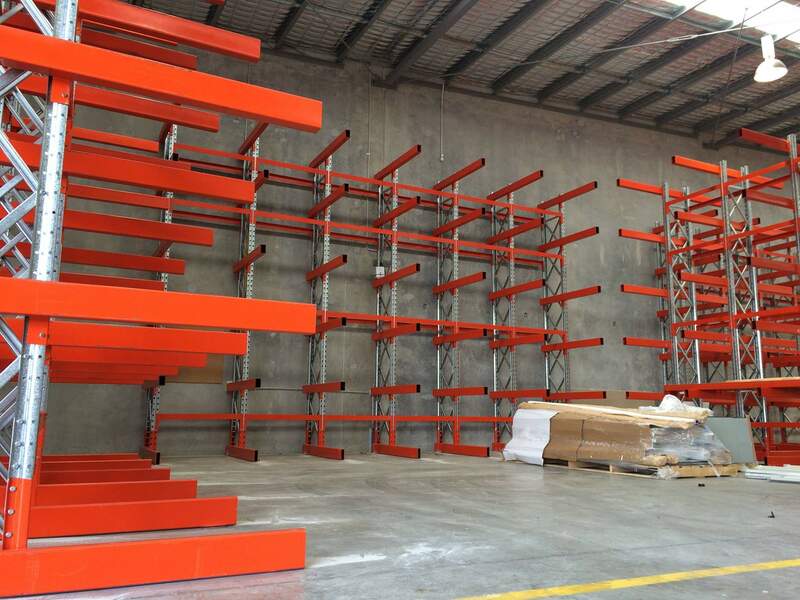 As a genuine pallet racking manufacturer in Brisbane, MACRACK has a team of highly qualified pallet racking experts. Our team is available for installation services on any of our pallet racking systems. Pallet racking installation doesn’t have to be painful. Our experienced team is also available throughout Australia for pallet racking relocation including uninstalling your current pallet racking and reinstalling it to the highest standard in your new location. Contact MACRACK today to discuss our expert racking installation service and take the stress out of relocating.